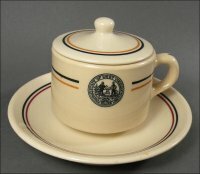 This is an unusual covered cup and saucer set, made by McNicol. 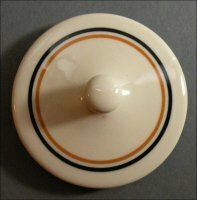 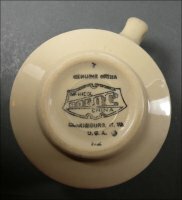 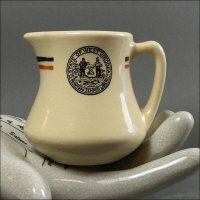 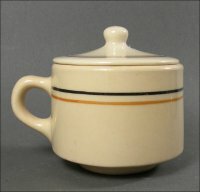 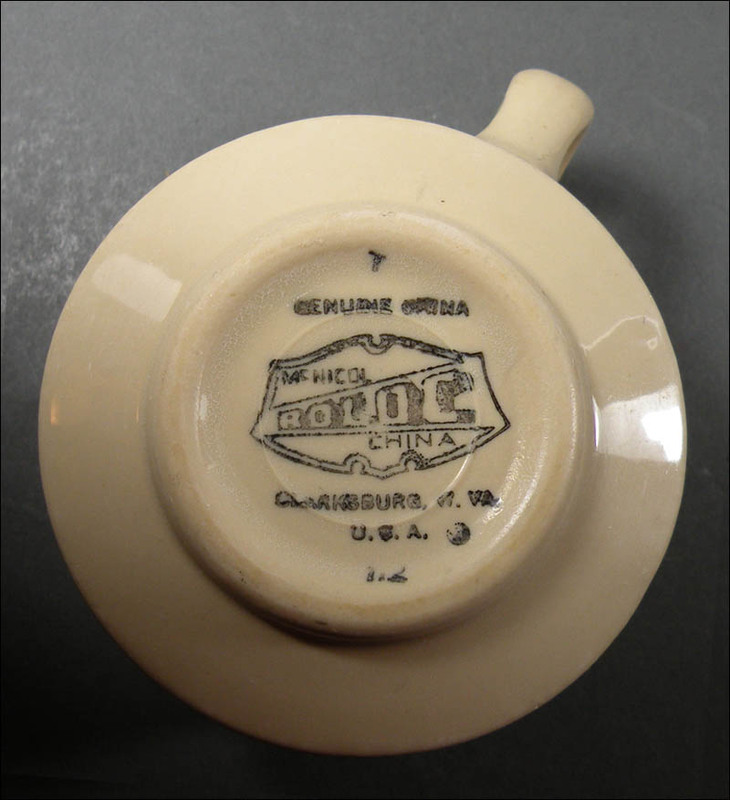 The cup is 4 1/4" across, including the handle, and approximately 2 1/4" high. 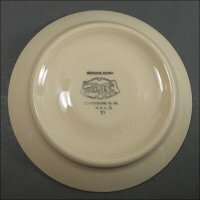 The saucer has a diameter of 6 3/16". All are in excellent condition with no chips or cracks and only light overall use marks. 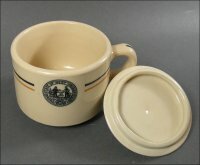 We do know that manufacturers offered cups with lids, and this set was purchased with the lid. And the lid seems to fit well. 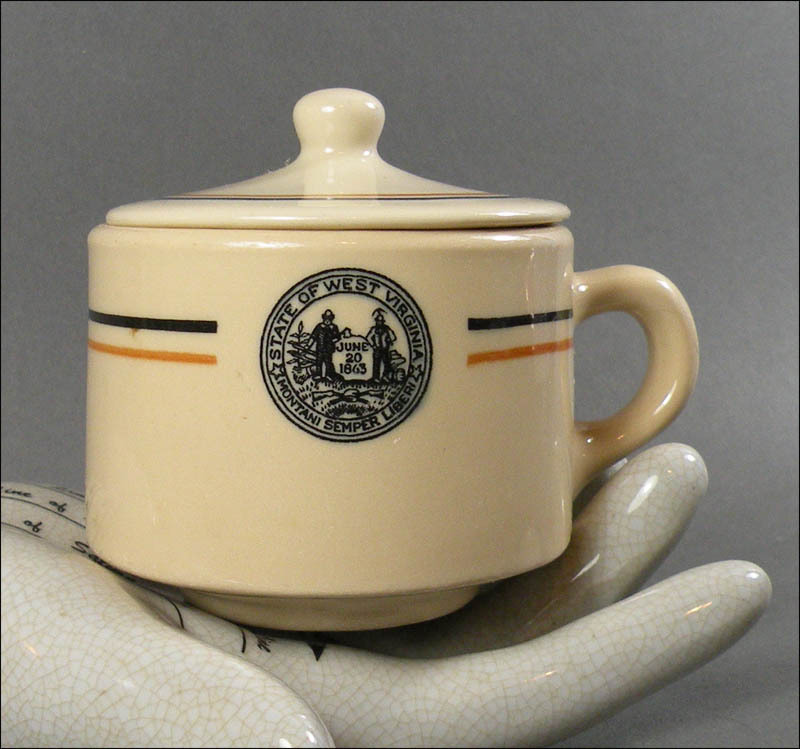 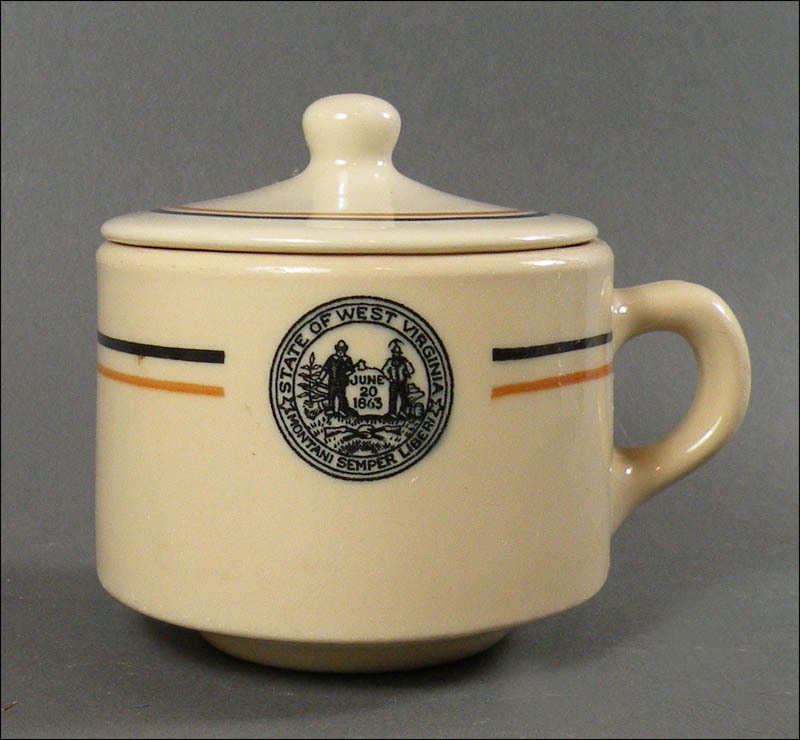 But as you will see, the lid has a slightly different color of tan clay body than the cup and saucer. 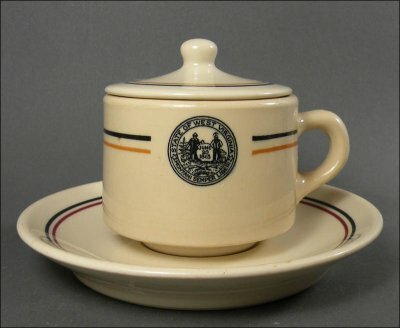 It is unmarked and might have been made by Carr rather than McNicol, or it could simply have come from a different run.